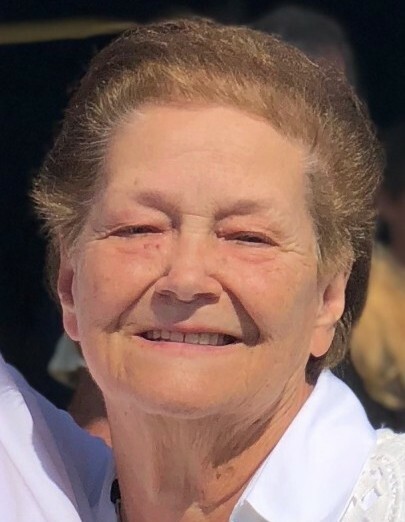 RAgnes Jeanette Jones Yow, age 76, of the Deep River Community, Sanford, NC, died Monday, January 14, 2019 at First Health Hospice House in Moore County. She was born in Lee County, NC on February 12, 1942 to the late Bert Graham Jones and Eula Margaret Coley Jones. In addition to her parents she was preceded in death by her husband Preston Yow; siblings Nettie Cooper, Robert Jones, Frances Simpson, Carolyn Garner, Bert Graham Jones Jr.; and an infant grandchild Holly Yow. Agnes was a loving homemaker who was devoted to God and her family. She loved her flowers and her garden and also loved to cook. Her favorite pastimes were shopping and eating out. She was a member of Flint Hill Baptist Church in Robbins for 47 years. She is survived by sons Danny Yow and wife Kathy, Ricky Yow; daughter Angela Yow West and husband Michael all of Sanford; brothers Layton Jones and wife Barbara of Vass, Clayton Jones and wife Barbara of Bailey, NC, Larry Jones and wife Joyce of Sanford; grandchildren Heather Yow, Sesily West Maness and husband Kevin, Hayley Yow Mansfield and husband Taylor, Noah West, Heath Yow and great-grandchildren Ryan and Presley Maness. Mrs. Yow also leaves behind her precious dog Lily. The family will receive friends Friday, January 18, 2019 from 7:00 PM to 9:00 PM at Bridges-Cameron Funeral Home and at other times at the family home. A funeral service will be held Saturday, January 19th at 12:00 Noon at Flint Hill Baptist Church with Rev. William Hancock officiating. Burial will follow at Lee Memory Gardens.